This tour has been organised so that guests of our visiting cruise ships may enjoy the wonderful sights Orkney has to offer. Our tour starts at 8am or at a time suitable to you, where you will be collected from your ship and returned there after the tour approximately 2.30pm. 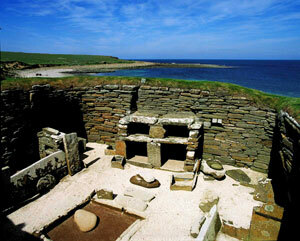 Explore Orkney with us - we are a family business, born and brought up in the islands with a 1000yrs of ancestry. 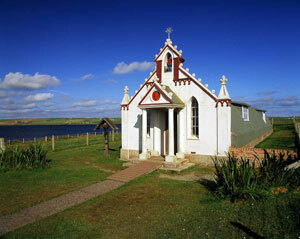 We will take you on tour to see , hear and experience our history, culture and Orcadian hospitality. Next, we travel to Rennibister Earth House, a wonderfull example of a subterranean souterrain which was discovered in November 1926. It lies by the south – eastern shores of the Bay ‘O’ Firth and is believed to date to around the first milleneum .The bones of 6 adults and 12 children were found inside this structure. Following on we visit The Standing Stones of Stenness dates from around 3100BC making the stones one of the earliest stone circles in Britain. 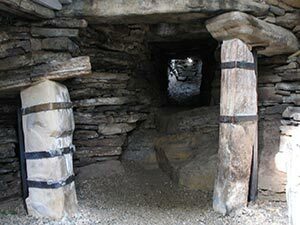 There are only four megaliths still standing today, it is thought that there could have been 12 megaliths originally however excavations suggest that the11th or 12th stones may never have been erected. From here we journey to view The Ring of Brodgar, it is thought to date from around 2500BC and is believed by many to have been ceremonial. 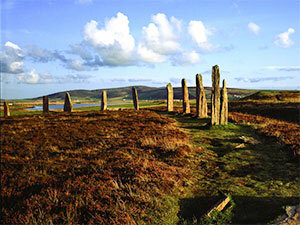 It is the third largest and best preserved Stone Circle in Great Britain. The stones at the ring are quite evenly spaced and at one time contained sixty. Many visitors to this site feel compelled to touch them or place an ear to them. Mystery still surrounds the actual purpose of the Stones. This is our most popular day tour of Orkney and is packed with 6 visits that include some of the most uniquely historic wonders in the UK.